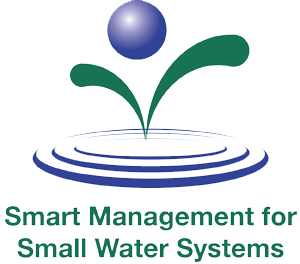 The Smart Management for Small Water Systems Project seeks to address major issues facing the nation’s smallest drinking water systems (those serving 10,000 or fewer people). Our team of experts works with water systems across the country, US territories, and the Navajo Nation to address these issues, which range from asset management and rate setting to water loss detection and conservation, through training and technical assistance. The Smart Management for Small Water Systems project is a collaborative effort between the members of the Environmental Finance Center Network and its partners, the National Association of Development Organizations (NADO) and the Government Finance Officers Association (GFOA). This project is made possible through a cooperative agreement with the U.S. Environmental Protection Agency. The American Water Works Association was a past partner on the project. This project is led by the Environmental Finance Center at The University of North Carolina at Chapel Hill and is co-managed by the Southwest Environmental Finance Center. In our asset management workshops, you will learn about how asset management can benefit your system. Not sure where to begin? We will provide you with the tools you need to get started and will walk you through the process. With limited revenues, aging infrastructure, and regulatory obligations to meet, a comprehensive approach to managing your system is vital. You may have problems related to unknown meter, valve, or hydrant locations. You may not be sure of which asset(s) to replace given limited funds. Asset Management can help you solve these problems, and more. Energy is the largest controllable cost of providing water services. Energy can be as high as 40 percent of operating costs, and those costs will likely increase 20% over the next 15 years. Now is the time to look at your energy use and take action. Our Energy Management workshops can help. You work hard to provide safe, quality drinking water to your customers at fair rates. But how are your finances? Our Rates and Finance workshops will provide you with the tools to improve the fiscal health of your utility without compromising service or deferring maintenance. There are several federal and state programs that provide funding for water infrastructure projects. In our Funding and Proposal Writing workshops, you will learn about specific financing programs from representatives from the relevant programs in your state. These workshops also include information on best management practices to strengthen your utility’s funding application. Discover how asset management, rate setting, and financial benchmarks can strengthen your proposal. Successful employees need strong communication skills to influence attitudes and get things done. Regardless of your position, leadership occurs at every level of a water system. Our Workforce Planning workshops can help you hire and retain skilled staff. Our Water Loss workshops will show you how to identify non-revenue water categories and how to take the first step of developing a water loss control program. Running a small system can be challenging. Along with meeting regulatory obligations and satisfying customer expectations, you may have issues with aging infrastructure, lack of personnel, and limited financial resources. Furthermore, small systems often cost more to operate per capita than large systems because of economy of scale. This can further complicate operations. One strategy is to work with other utilities. Now more than ever, water utilities must learn to be resilient in the face of an uncertain future. In our Disaster Preparedness workshops, we will discuss potential extreme weather and climate disruptions in your region. We will also give you tools to identify risks and manage and plan for impacts. Small water systems are struggling to recruit and keep experienced staff. What will happen when your utility’s long-term operator or manager retires? Who knows all that they know? This workshop will focus on succession planning, operator recruitment, and staff retention strategies. We will discuss links between workforce development, system sustainability, and long-term planning.